The Man Booker Prize shortlist for 2013 has been unveiled, as judges acknowledged the “most diverse” and “exceptionally international” range of books spanning five continents. The shortlist was announced at a ceremony in London this morning, is comprised of six books, each now in the running for the £50,000 prize. Judges have already acknowledged the contenders as the “most diverse list ever”, with an “exceptionally international” feel for subjects and authors scattered across the globe. In contrast to the 2012 award, which saw Hilary Mantel's Bring Up the Bodies secure the prize, industry experts have speculated this year has no clear favourite to win, saying it is an “impossibly tough year to call”. The current favourite is Jim Crace’s swansong Harvest, already announced as his final novel. Eleanor Catton’s The Luminaries is also tipped to be a close contender, making her potentially the youngest ever Man Booker winner at 28. 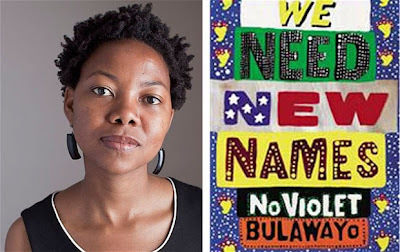 Others shortlisted included NoViolet Bulawayo’s We Need New Names, Jhumpa Lahiri’s The Lowland, Ruth Ozeki’s A Tale for the Time Being and Colm Toibin’s The Testament of Mary, which is the shortest ever entry at just 101 pages long. The books draw variously from Africa, Australasia, Asia, Europe and North America, with their authors living across the globe. Only Crace still lives in Britain, while Catton is based in New Zealand, Ozeki in Canada and Bulawayo, Lahiri and Irish-born Toibin living in the US. 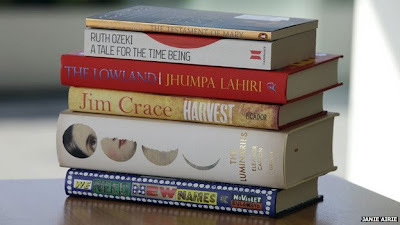 The shortlist, whittled down from 152 novels written by citizens of the Commonwealth, the Republic of Ireland or Zimbabwe, is made up of four women and two men, with only half of the books set in the modern day. Robert Macfarlane, chair of judges this year, said the shortlist is intended to celebrate the “vitality and range” of the modern novel, “world-spanning in their concerns and ambitious in their techniques”. Saying it was “unmistakably the most diverse in Man Booker Prize history”, he added: “It is most instantly striking for its global range. This is a shortlist which shows the English language novel to be a form of world literature. It crosses continents, it joins countries and span centuries. “It is an exceptionally international and exceptionally varied shortlist. What connects them is connection. They are all about ways of connecting: technological, familial, emotional and in one case elemental. “There are also inevitably about connections in reverse: loss, grief, separation, exile and dispossession. “In some ways, these novels are all about the strange ways in which people are brought together and the painful ways in which they are held apart.” Despite the bleak range of themes discussed, he denied the list could be categorised by “misery”, saying each novel also contained a lot of joy. The winner will be announced on October 15, following a year-long process in which judges read 152 novels, embarked on hours of discussion and admitted to a “sinking feeling” at being faced with the 800-page-long Catton novel. Book retailers will now be preparing their stocks of the shortlisted books. Previous winners, including Life of Pi, which sold two million copies, Thomas Keneally’s Schindler’s Ark and Hilary Mantel’s Wolf Hall and Bring up the Bodies, have received a significant sales boost. Speaking after the announcement, spokesmen for both Waterstones and Foyles bookshops hailed the “pleasing diversity” of the “multicultural” shortlist, saying the winner was “an impossibly tough year to call”. Jonathan Ruppin, from Foyles, said: “There's a pleasing diversity to the shortlist: they’re six very different books, in terms of both settings and writing styles. The only debut novel on the shortlist. The 31-year-old Zimbabwean author tells the story of Darling who lives in a shanty called Paradise. Judges said: "In the course of our epic readathon we met many, many child narrators, an exhausting number of child narrators, but none stood out quite like Darling." New Zealander Catton, 27, is the youngest author on the shortlist. Her debut novel, The Rehearsal (2008), was longlisted for the Orange Prize. The book features Walter Moody, who is drawn into a mystery when he attempts to make his fortune in New Zealand's goldfields. Judge Natalie Haynes, a classicist and critic, added: "When an 823-page book turns up in a parcel, a sinking sensation could occur to a person who is trying to read a book a day while doing the things that pay their mortgage, but within about six pages of the book I felt like I'd got into a bath." Hertfordshire-born Crace, 67, the oldest author on the shortlist, has been writing fiction since 1974. Quarantine (1997) was previously shortlisted for the Booker. The book charts, over the course of seven days, the destruction of an English village and its way of life after a trio of outsiders put up camp on its borders. Crace has said the book will be his last work of fiction. Judges said Harvest continued to "haunt" them after months of reading, adding: "When you think about the eruption of strangers into this enclosed world, the resentment caused by these outsiders, you begin to get a glimpse of some of the troubling debates in modern life." London-born Lahiri, 46, lives in the US and holds UK and US citizenship. She has written four works of fiction including The Namesake, which was adapted into the film of the same name. 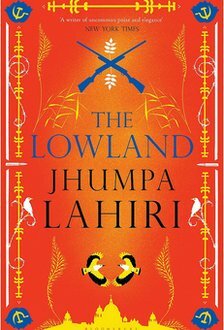 The Lowland, featuring the lives of two once inseparable children raised in Calcutta, is a novel about entangled family ties. Judges said: "This is a novel about distance and separation ... a novel about the impossibility of leaving certain kinds of past behind." Canadian-American writer Ozeki, 57, was ordained as a Zen Buddhist priest in 2010 and is the author of three novels. A Tale For The Time Being, which features cyberbullying and a 105-year-old Buddhist nun, centres around a mystery that unfolds when the protagonist, Ruth, discovers a Hello Kitty lunchbox washed up on the shore of her beach home. Judges said: "It's a Zen novel if such a thing is possible. It's about dualities at every level - East to West, cruelty and kindness, forgetting and remembering, and releasing and enclosing." The book is "incredibly clever, incredibly sweet and big-hearted", they added. Irish author Toibin, 58, is the author of five novels, including The Blackwater Lightship (1999) and The Master (2004), which were both shortlisted for the Booker. "A woman from history (is) rendered now as fully human" in the book, which features Mary, "living in exile and fear, and trying to piece together the events that led to her son's brutal death". Judges said the book was a "beautifully crafted, passionate story that most people think they already know", which the author "turns into something wonderfully fresh and strange". 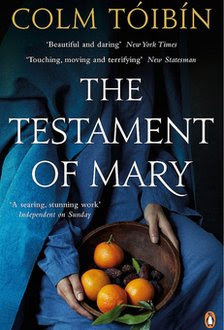 Judges admired "the power of Mary's voice" and said it was a short novel but one that "lives long in the memory" with a narrative that ranges over a lifetime in just over 100 pages.